Fatty liver is expected to be a major health problem in Malaysia due to increasingly affluent lifestyles and poor dietary habits. These factors have led to the increasing prevalence of obesity amongst Malaysians. Fatty livers that are not well managed can progress to liver scarring, hardening and also liver cancer. Fatty liver is a condition where excess fats are deposited in liver cells. Excessive accumulation of fats (where it exceeds 5% of the liver's weight) can lead to inflammation and liver tissue scarring (fibrosis). Non-alcoholic fatty liver disease (NAFLD) is a condition when there are fatty deposits in the livers of people who never drink alcohol. 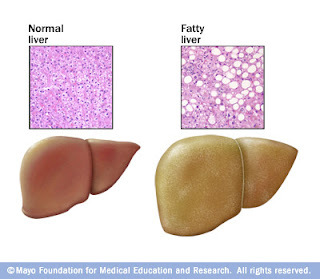 Fatty liver is a strong factor that puts such people at risk for cardiovascular or heart disease. The conditions of diabetes and obesity have strong links. Diabetics who have poor blood sugar control are at increased risk of having liver disease. People who are overweight and have high blood cholesterol also have a higher tendency to accumulate fat in the liver. The widespread presence of NAFLD is disturbingly high worldwide, reported to be between 15% and 30% in Western countries (including Malaysia) and 18% to 30% in Japan. Unfortunately, most of the NAFLD are discovered incidentally e.g. when doctors find an enlarged liver or notice abnormal liver function test readings, in the course of looking for something unrelated. This is because the symptoms of liver disease are usually not obvious, e.g. tiredness, or a general feeling of being unwell. There is no drug that can effectively cure NAFLD at the moment, even though some scientific studies are being done on tocotrienols from palm oil. While waiting for medical breakthroughs, a sensible solution is lifestyle modifications like exercising and watching one's diet. 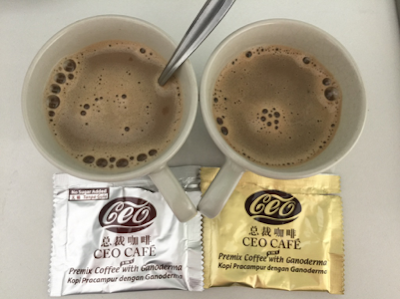 However, there are over 30 scientific studies which have been published on the usage of ganoderma (lingzhi) in liver protection. Numerous statistical data have been collected from tens of thousands of people who showed improvements in their health after taking ganoderma. The advantages of ganoderma are well acknowledged in its role in protecting the liver. Click here to read about the Research into the Effects of Ganoderma on Liver Protection. Are you afraid of suffering from the complications of Fatty Liver Disease? Here is your solution - email me at laifuiping@gmail.com to buy. Click here to refer to Shuang Hor company website for Product Description and Price.